I think it’s fair to say Stephen King’s IT is a modern classic. So many people cite it as a major influence on their own creative endeavours, plus its impact on popular culture has been epic. Whilst Coulrophobia (that’s fear of clowns to the uninitiated) has always been ‘a thing’, King basically brought it to the mainstream via Pennywise and RUINED circuses for my generation and beyond. Thanks Steve! At 1138 pages, IT is an epic tome. On the plus side, the characters really make it shine. Beverley is obviously my favourite: she’s sharp as a tack, insightful and a crack shot with a rifle. King avoids the ‘girl character’ tag with her really well and makes a good case for her being the only female in the group. Bill’s grief and guilt for his lost brother is a powerful motivator for him, which works really well. His bike Silver also brings forth memories of riding my own bike downhill, feeling the air through my hair and feeling free. Eddie too, is a favourite of mine: the notion of holding your kids prisoner via things like Munchausen By Proxy was a relatively new idea back in the eighties, so on that King was way ahead of his time. Henry Bowers’ and Patrick’s suppressed homosexuality is also a keen commentary on toxic masculinity – a phrase that was not used back then, but still potent today. King really shines a light on both small town life and what it’s like growing up in a place where everyone knows everyone. I first read IT when I was roughly thirteen (yes, yes I was far too young) and it was this element that really stuck out for me. There’s also some really decent gore, as you’d expect with King. (My personal favourite is when Patrick gets killed by all the flying slugs. What??). … YES IT REALLY IS THAT BAD. WTAF STEPHEN KING, JEEEEZ. But overall, I love IT. I find it quite funny that King would have been eviscerated by the likes of Twitter and Goodreads if he wrote it today: no doubt he would have been accused of ‘harming’ my entire generation for a plethora of reasons. 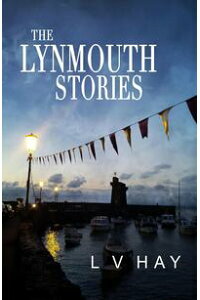 That said, we all seem to have fared pretty well AND feel pretty fond of the book. Tim Curry is a god and the obvious choice for Pennywise. I’d remembered him as looking much scarier, but in real terms he looks quite pleasant until he does his trademark roar with sharp teeth. This made me think about how audience tolerance for horror changes: back then, the idea of something looking innocent and fun and then changing was a big part of horror. But now that no longer cuts it. I was surprised to find Pennywise does not have that much screen-time. I didn’t count the scenes he was in, but they were far less than I’d remembered. It just goes to show how striking imagery can take over your mind. Something many writers and filmmakers can learn from, I’d wager. In terms of characterisation, I much preferred the child versions of The Loser Club. I felt none of the adults compared. Richard Thomas – that’s John Boy from The Waltons, no less – was a massive miscast for me. The tragic Jonathan Brandis played Bill, whom I remembered from childhood movies like The Never-ending Story 2 and TV shows like SeaQuest DSV; his subsequent suicide in 2003 really affected me. Interestingly, I’d forgotten that Seth Green – most famous to my generation as part of the Frat Pack, not to mention Buffy The Vampire Slayer – had played Richie as a child. Story-wise, this IT adaptation was fairly true to the book, removing all the problematic and plain weird elements I described in the previous section. In both episodes, the resolution was very weak, especially the adult version. In fact, even Tim Curry has gone on record criticising it, saying ‘I was very disappointed by the ending‘. Me too!! First off, I should mention that *this* version is just ‘chapter one’ – in other words, it only takes in the events of The Loser Club versus Pennywise when they are children (with chapter two coming later when they’re adults). Personally, I think this was an excellent choice; so much happens in this section of the book, plus I would wager that this is many people’s favourite bit, like mine. It also means more people are likely to go watch the sequel, since they’ll no doubt want to see how they adapt it. So on both an artistic and commercial level, this was savvy. The time periods shift significantly. Unlike the TV mini series, which keeps it as the 50s and 80s (as in the book), the filmmakers of this one change it to the 80s in Chapter One. This then means Chapter Two will take place in 2017ish, which by then will be ‘present day’ (and another twenty seven years later). I think this was a great idea as it makes it more relevant and the main audience – ie. my generation – were children in the 80s also. (We probably shouldn’t have been reading IT in the 90s, but we all did!!). 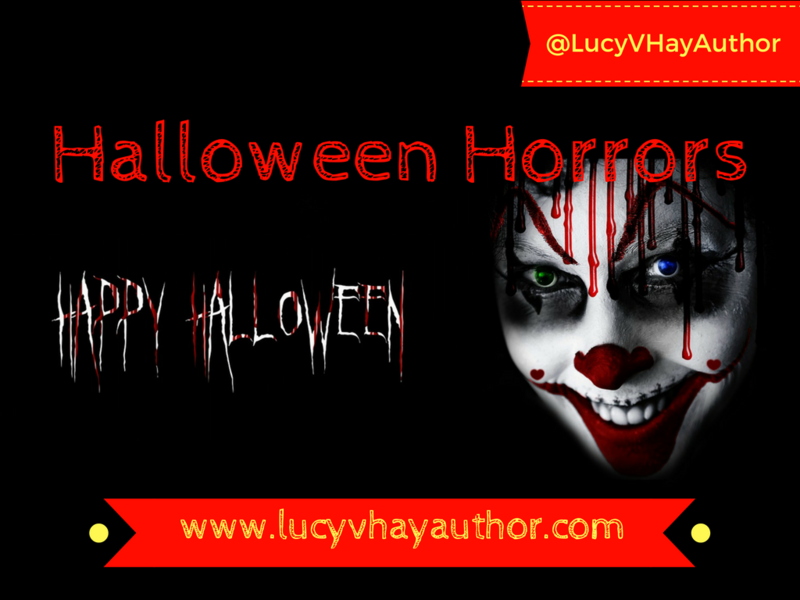 The new version replaces a lot of the kids’ fears from the book, too. The Losers were scared of things like werewolves for example – and in 2017 that just wouldn’t be scary in this post-Twilight world! In fact, only Eddie’s Leper makes it through unscathed if I remember correctly. Again, I think this was a savvy decision. I did miss the flying slugs though! Pennywise is the next obvious biiiiiig difference in terms of his costume. What people find scary has changed in the last twenty seven years. 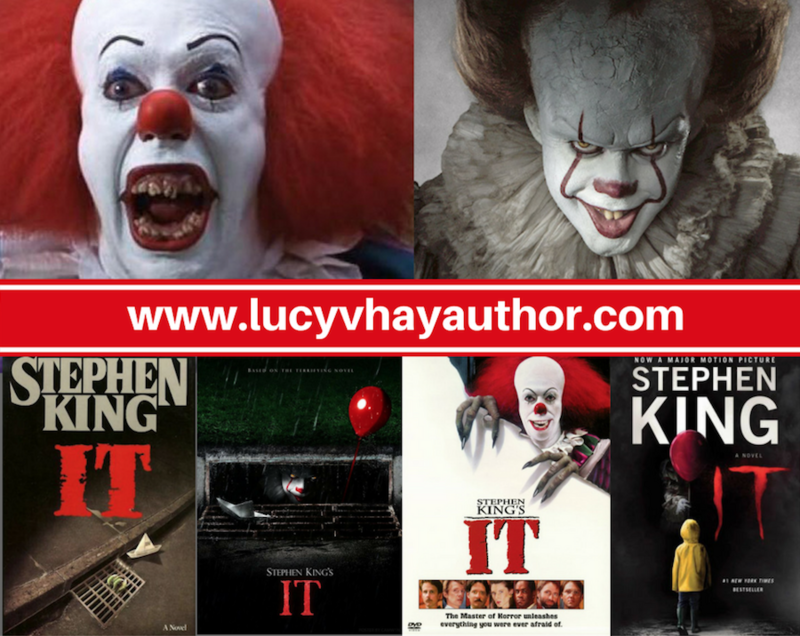 Whilst killer clowns have always turned up in the genre, since the IT TV mini series, there’s been a deluge of them, a veritable A-Z … From alien clowns to zombie clowns, we’ve had them all now! As a result, Pennywise had to have a serious revamp, since a clown with sharp teeth just isn’t enough like it was back in 1992. 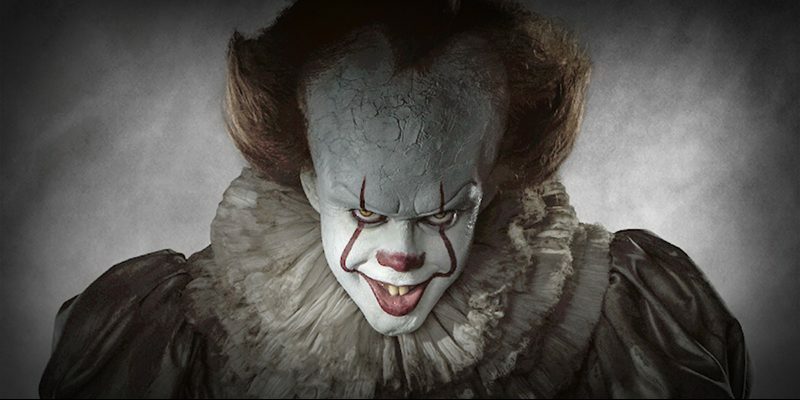 In addition to the very different, much more sinister costume, Bill Skarsgard is much younger than Tim Curry was when he played Pennywise … and he brings a much more physical, vibrant ‘Jack in the box’ quality to the role. He has his own version of the trademark grin, too. I loved everything about his performance, my personal favourite being when he ‘unfolds’ himself, contortionist-style from the fridge in the abandoned house. Eeeek! As I’ve written on my other site B2W, the screenwriting is mostly strong, especially when it comes to the subtext. It’s very clear The Loser Club can’t go to the adults and that they live in a threatening, desperate situation. Character-wise, Bill is very well-drawn and true to the source material, as is Ben. Richie is MUCH better than the original text in my opinion. As far as the rest of the Losers are concerned, there are some problems, especially Beverley who starts off brilliantly but is frustratingly relegated to the role of a damsel by the end. Plot-wise there are some significant issues for in terms of WHY Pennywise can’t just kill them all off the bat like he does Georgie, which I detail HERE. Overall though, I loved this version of IT and felt it was a rip-roaring ride that was both scary and exciting, with some decent filmmaking/writing. I’m not surprised Stephen King liked it too. I obviously love the book, but I prefer brevity when it comes to novels – the script editor in me is always offended by overwriting and downright author indulgence … King’s novel is certainly both! I don’t think it’s any accident that my favourite works of his – Carrie and The Shining – clock in at 199 and 447 pages each! They’re much more lean, focused and hard-hitting in my opinion. I also love Tim Curry as Pennywise, but to be honest his was the only really memorable performance. The Loser Club kids did their best, but the direction was a little pedestrian and the tone/feel of the piece not as terrifying as it could have been. Even if it was, by now it’s dated, so simply can’t work as well. So, it seems a bit naughty to come to a verdict when I’ve only seen Chapter One of the new version of IT, but since it was my favourite bit of the book … I’m gonna call it: the reboot is my favourite version!